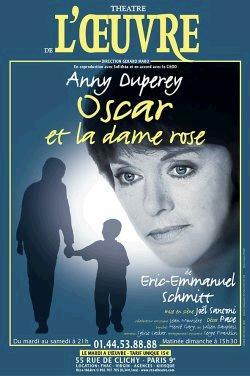 Did anyone hear about this book (Oscar And The Lady In Pink / Oscar et la dame rose) ? It’s written by Eric Emmanuel Schmitt (the author of Monsieur Ibrahim et les fleurs du Qoran), it’s about letters of a boy of ten addressed to God. They are found by ‘Mamie Rose’, the Lady in Pink of the title, who visits him in hospital in the pink uniform worn by nurses on the children’s ward. The letters describe twelve days in the life of Oscar and are filled with funny, moving characters. These twelve days may be his last, but thanks to Mamie Rose, who forms a close and affectionate bond with Oscar, they are to become legendary . So in 10 days he will know all about life, love passion and wisdom. This reminds me with of another story I read few months ago, it’s called “Finka” فينكا , written by Nivine Sedky, and was turned into a play performed in el sakiat (i think it was last year, but I’m not sure as I didn’t see it -unfortunately-). It’s about a little girl who faced a terrible fire incident, and is so close to dying. And there is a wise man who decide to give her the knoweldge of a lifetime. فينكا نمودج لفتاة من أيام المصريين القدماء عاشت يتيمه فقيره صغيره سنا… كبيره معنى … إنها رمز القلب الحي في كل إنسان منا .. يمكنه أن يتواصل مع كل شيء في الوجود ويستمع لحكمته. التقت فينكا بالمعلم .. حين ذهب الناس بها إليه ليعالجها من حروق أصابت جسدها الصغير وهي تخبز العيش. وحين أفاقت بدأت معه رحلة .. عبّرت فيها عن العلم الكامن داخل فطرتها النقية .. فطرة استيقظت على يد المعلم. وكانت الجوهرة التي تبحث عنها رمزا لهذه الفطرة الكامنة في كل إنسان. تعلقت روح المعلم بفينكا لما لمس فيها من يقظه ووعى .. أما هي فببراءة الطفولة ربطت ثوبها بثوب معلمها حتى لا تضيع جوهرتها أو يضيع هو منها . علمها الحكيم مكان بيت الرب وهوالقلب وعرفت هى كيف تدخل الى قلبها… وهنا قال لها : دخلتى قلبك وعرفتى أنه وحده لا شريك له إدن البراءه ستبقى فى قلبك. This entry was posted in Books, Egypt, French. Bookmark the permalink.